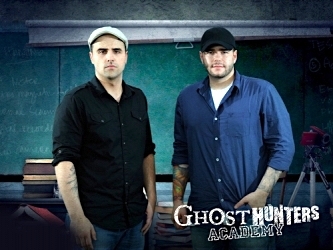 It's true: the Sci-Fi Channel has given the greenlight to yet another Ghost Hunters spin-off. In this one, college students interested in parapsychology will join professionals to investigate paranormal happenings worldwide. Crossovers between the shows are basically guaranteed. Tonight is the Reveal of the Live show. I watched all but the last hour or so and, unfortunately, the only truly interesting thing that happened was the voice which we all heard clearly toward the beginning of the show. The way Jason acted made me think it was faked. Now, I understand that this is TV; I know all about ratings, and understand that many consider Ghost Hunters (and other paranormal-related shows) to be little more than entertainment, but Ghost Hunters has remained at the forefront of its niche specifically because it does not resort to cheap tricks. Jason's face was so strained, his attitude toward the phenomenon so reserved, that I got the very clear impression that someone had suggested "starting the show off with a bang," and went ahead with it -- whether or not Jason was down with the idea. But both Jason and Grant voiced their frustration with the constant Sci-Fi plugs, especially the more the night wore-on. I would have no problem believing some dipshit Sci-Fi executive planted the whole thing just to keep people tuned-in. After all, nothing else happened the entire night... except plug after plug for other Sci-Fi shows. I sincerely hope this is not the case, but I will be watching all the same. And let me just say that, should it turn out to have gone down this way, I do not believe it discredits the show, the team, or anything else aside from that single phenomenon. Maybe we will find out tonight -- at the very least, a little more light will be shed on the situation.